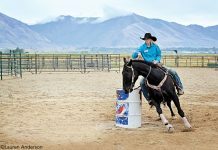 The Certified Horsemanship Association (CHA) has just released its newest publication – CHA Trail Guide Manual. 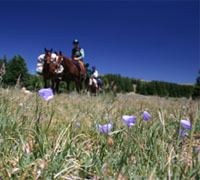 Written by leading trail guide professionals from around the United States and Canada, it is a comprehensive guide to trail riding, camping and packing out with your horses and mules. This manual is complete with how-to illustrations and photographs and is a must-have for all avid trail riders, overnight campers and wilderness packing guides. With educational illustrations by Susan Harris and edited by Julie Goodnight, it has four levels of horsemanship, trail ride information, camping with your horse, knots, packing, safety on the trail, Dutch oven cooking and much more! To order yours today please contact CHA. To view other publications and educational materials published by CHA visit the CHA website. Some of the titles include CHA Composite Manual of Horsemanship, Riding Instructor and Trail Guide Manual, Ready to Ride?, Standards for Group Riding Programs, Enjoying Equestrian Activities Safely Poster and Horse Sense Posters. The book sounds really neat and useful. I would have to look into it if I ever planned on trail riding/horse camping a lot.